Brunch may have to be one of the greatest things around, my cousin was up from the states and after a substantial night out we wanted a heavy Brunch, enter Origin. When we arrived we were shown our seats on their great patio then given menu’s. I ordered a TBD (the brunch drink) to have while we decided on food. This more of a public service announcement rather than a statement but you need to get TBD, it is freaking awesome. 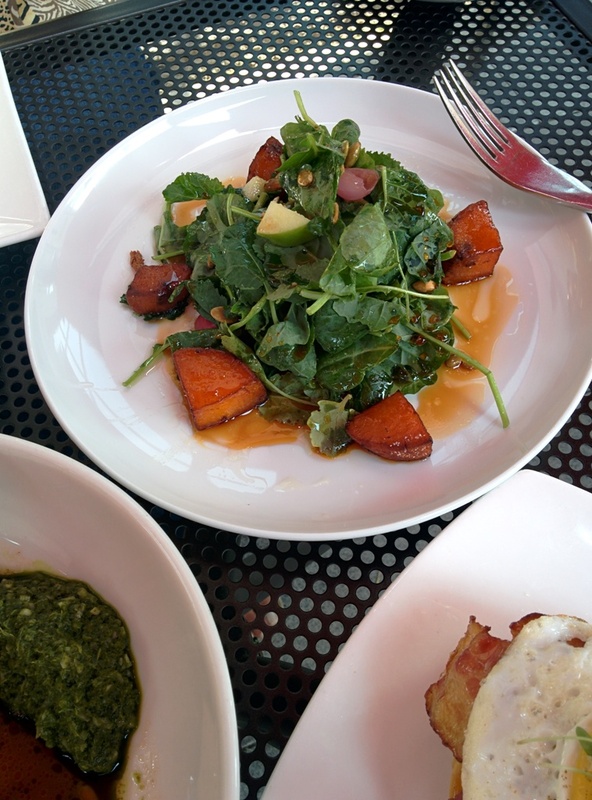 Anyway, onto food, everything on the menu was legit mouth watering but we narrowed it down to three things, the Miami short rib hash, the tostada and the sweet potato and kale salad, you know, to pretend to be healthy. The waiter said he would stagger the food, to which I responded “no no, all at once” like a boss, because staggered food is boring food. About 20 minutes later all the food arrived. At precisely the same time, exactly as I dreamed it, behold. 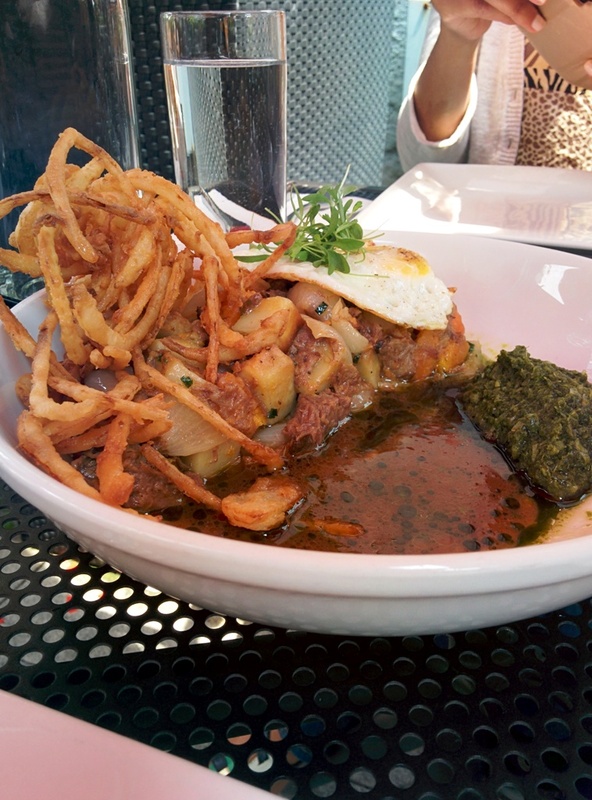 I started with the hash, obviously, and it was fantastic, rich jus, tender meat, perfectly cooked potato and sweet potato all with a sunny side up egg, onion rings and chimichurri. A fitting hangover meal that had everything you could ever want ever. Next I tried the tostada, not a fan of tostada’s but Origin did this justice with a great balance and layer of all the ingredients and textures. Finally the salad, possibly the best salad I’ve had in forever, fresh, sweet, tangy and ever so simple. The only thing that could have made it into a meal would have been a grilled meat of some sort. 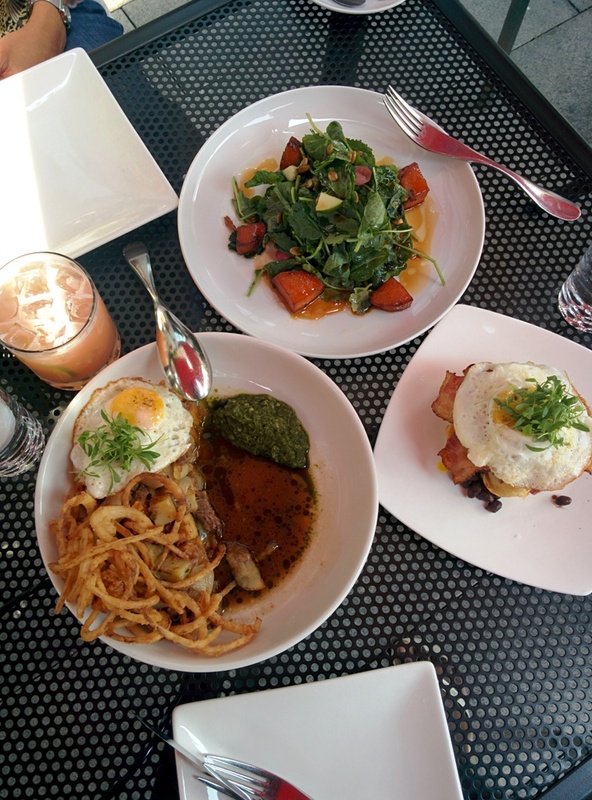 Origin is doing brunch Justice and I would break my “once only” rule to eat there again without thought. 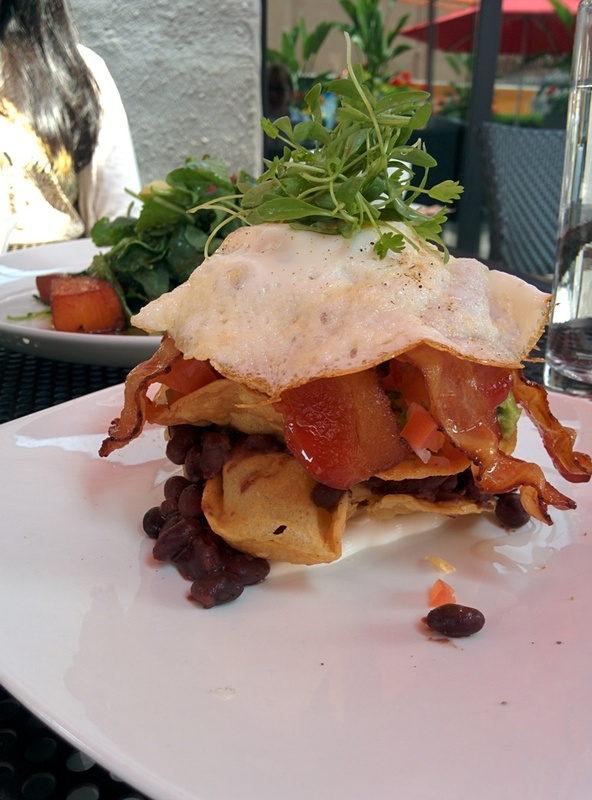 Posted on July 25, 2015 October 13, 2015 by AdrielPosted in Brunch n Lunch, Canada, TorontoTagged Brunch, kale salad, origin restaurant, potato hash, short rib, Toronto, tostada.